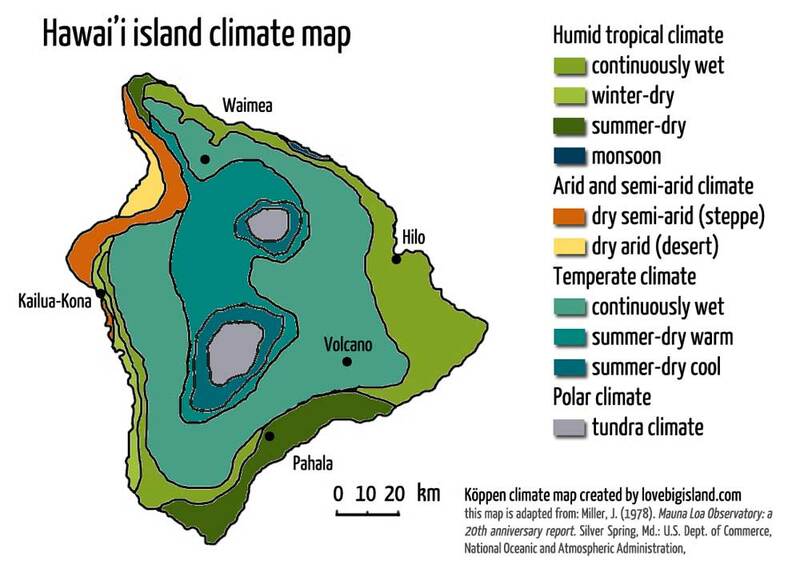 This is an extraordinary feat for such a “small” (4,028 square miles surface) Big Island and would allow you to see all those different climates in one day. This sounds like fun right, but is it also true? How many climate zones are there actually in the world? And how many of those can you find on the Big Island?